Currently looks like this, not sure if the chrome is too blingy ? You can still get it without any help from others. 1. Make sure all your personal vehicles are stored in your garage(s). 2. Go to a Merryweather gang attack in a vehicle that's not yours. I used the gang attack near Zancudo. 6. You'll return to free roam and voila, you can now store and mod the mesa at your heart's content. ^^^ but that doesn't get you one with no cage soo.. I only turned your argument against you, so if it's a poor argument, then you're deflating your own statement. Off-road'ing doesn't mean 'hold down R2 and jump over rocks here and there'. If you done so you'll end up falling down. 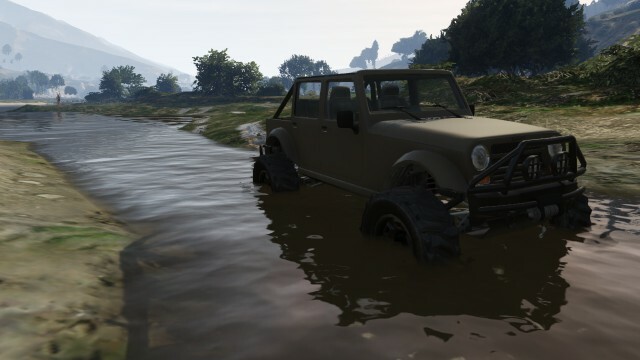 Happens billions of times with me with the Liberator itself (which is arguably the best off-roader for now). When I followed the guy's method I had 0 problems. Seriously do you even off-road in RL, bruh? heck I don't do so and I know that. Thanks for info, I dont recall right now, where are the MW gang attacks at? I have one of these, might get another, that's how much I love it. It's my favourite off-roader at the moment because of how small and agile it is, yet can carry a f*ckload of torque. I like to push it to its limits, driving on all terrains. 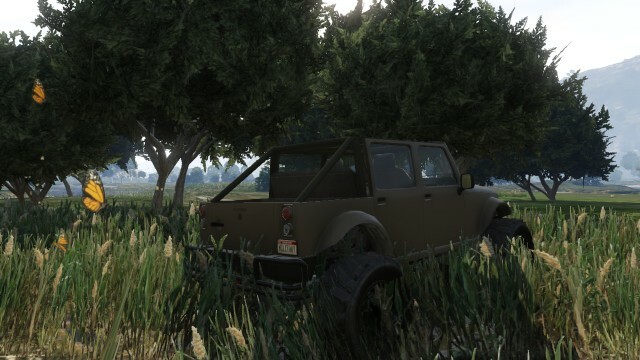 I originally had it as matte olive green, but then changed it to matte desert tan, to blend better in the Grand Senora. So I finally got one for my 80's chick. I don't think you can store it from gang attacks anymore. Thanks for the offers of help guys, but transambill hooked me up (cheers bill). Don't know why, but the gang attack just never appeared for me, he invited me to his game and started one straight away. In this circle, between 8pm and (I think) about 4am. I understand peoples complaints about handling, and yes, it is agile. Because of this agility, I got a bit too confident in it's ability and did one of these less than a minute after getting out of the LSC. I tried this, the Mesa was gone after leaving the mission. Did you park the Mesa in the blue circle? Because you need to. Where there any players nearby? It doesn't work if there is anyone else close to you. I did park in the circle, and was alone in an invite only session. I just tried it myself, using the directions above, and it worked like a charm. At first I thought it failed, because the Mesa disappeared, but it was parked about 50 feet away. Which mission marker did you park on? The nearest race. I can't remember the name. Got it, thanks! Same one I tried. I'll keep trying. 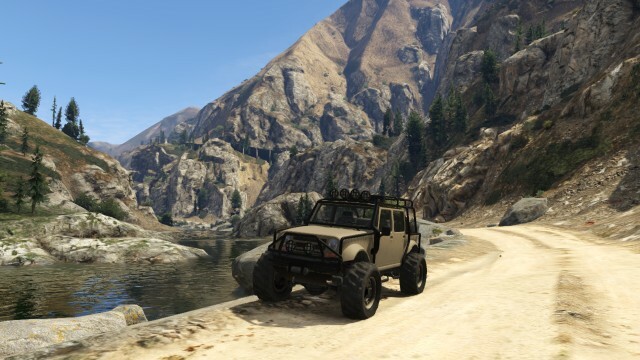 There are so many vehicles that are better off-road. The Mesa may be adequate but it's no where near the top of the list. Make sure there are no personal vehicles around. 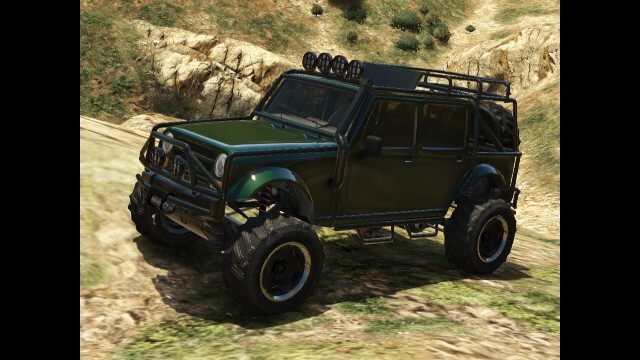 If there is one anywhere in the open world, that vehicle will spawn after you return to freemode and the mesa will dissappear. 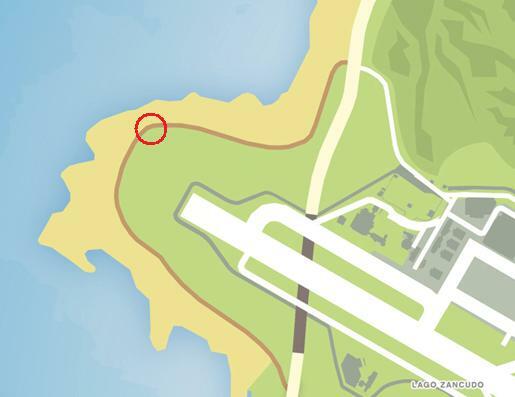 Also make sure to check the wider area around the marker (say 50-100 yards) as the mesa does not always spawn directly next to you. Some say you need to drive into the mission marker with the mesa and when you get out, you must be immediately standing inside the marker. Not sure if that is a condition for it to be successful, but that worked for me. Yeah, we all know that but it doesn't mean it can't be appreceated - the surfer is the slowest van and pretty useless, but it's got a ton of character, and most of us love that too. The Mesa, while not the best off road, it is still a decent off roader, and a charming one too. I'm sure you're aware this is not a "which is best?" thread. I never said that you shouldn't appreciate it, or that this was a "which is best" thread, the fact remains that it's off road capabilities have come up in this discussion already and understandably so; so I contributed my opinion. Also for the record the Surfer is far from useless. 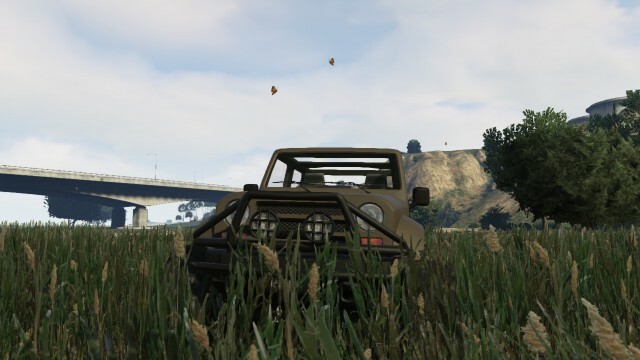 Maybe there are better off-road vehicles, but this game has 0 realism in this case. An Entity can smoke the Dubsta 6x6 in no seconds. The Nemesis is faaaar better than the Sanchez. etc. I personally find the Mesa is perfect in the desert and Mount Gordo. It can't go in a straight line perfectly like the others, if it flew at top speed it'll lose control. You need to go slowly, otherwise you'll lose control in no time. Third time was the charm, I finally got it. Many many thanks to you my friend!.. my favorite ride these days..
Thx for the awesome custom plate too! She may not be the fastest but she is the most fun, nothing like flipping over on a slight turn at 40 mph. Bring me my coffee or I'm gonna cut your arm off. I had one many moons ago, but ditched it because aside from looks, it is a terrible off-road vehicle. 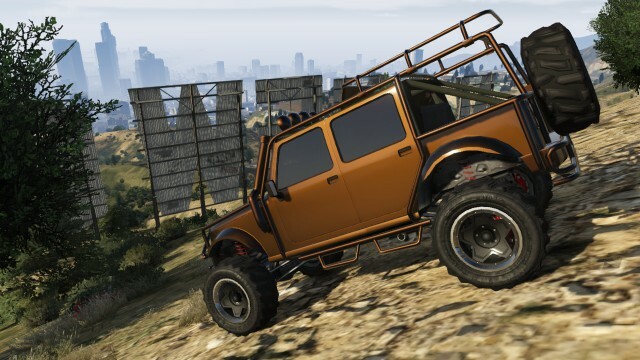 That saddens me, really, as the looks of the Merryweather Mesa do not match good off-roading capabilities. Damn I want a cageless so bad!!!! Yeah, I wanted to replace mine really bad!!! Anybody know how to get a cageless one on xbox? There is no SP2MP glitch working at the moment, so you cant get them right now.